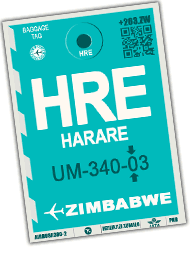 Harare International Airport is located southeast of the capital, near the new residential area of Arlington. The quick access to the city center, about 12km away, is via Airport Road. Many hotels are available just minutes from the airport.